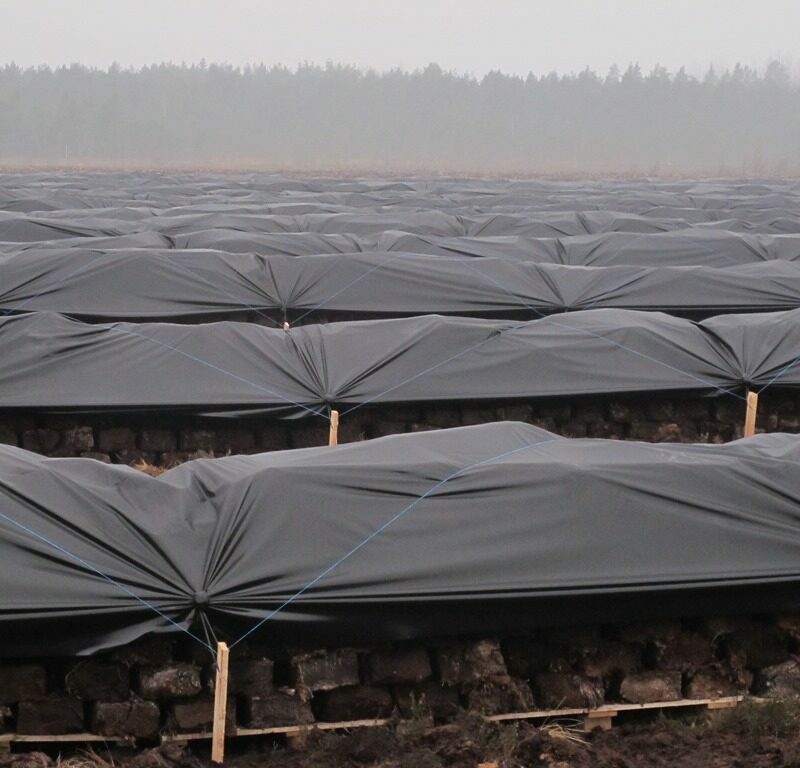 RaniPeatCover is used for covering large peat stacks and piles of peat blocks. If needed, film can also be used under piles of block peat. By using RaniPeatCover, the quality of the peat remains high, as it is protected from the environment. RaniPeatCover is a strong film with great UV protection and a long life span, and it is able to withstand high loads. The film is available in a variety of thicknesses and widths, depending on the needs of the customers. We can offer RaniPeatCover in very wide widths up to 22 meters.